For the fourth year in a row, Eagle Boy and Scotty Abrahamson have earned the “King of the Hill” title. Eagle Boy placed second on Thursday, first on Friday, and did not place in the top five on Saturday. 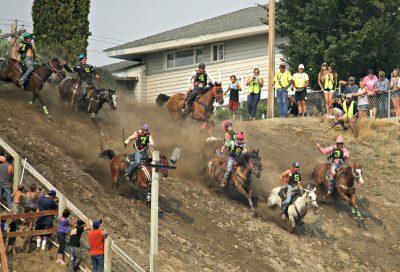 The duo placed third on Sunday as they charged into the Stampede Arena. Fortunately, they’d earned enough points to win their fourth consecutive title. Eagle Boy and Scotty Abrahamson with 12 points and Jackpot and Edward Marchand with 10 points. Abrahamson and Eagle Boy dedicated this year’s title to his late father LeRoy Abrahamson and his grandmother Sue Palmer. “It means a lot to me and my family,” said Abrahamson. 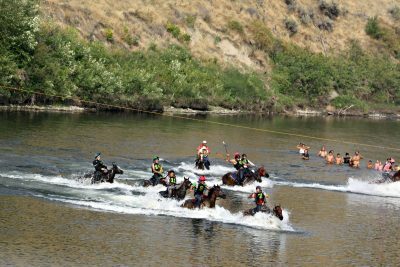 “It just shows how great of a horse Eagle is, especially when it’s this close, for him to pull it off, its tough.” According to the Tribal Tribune. Unfortunately, the only girl who qualified two years in a row, Audrey Seymour, did not own her own horse and was bumped off for another male jockey. Heartbroken but far from giving up, she will train and be ready for the 2019 Suicide Race. As far as racing goes, Seymour is dedicated to opening doors for all females to reach their dreams and goals. “I have the right to come down that hill. Times have changed. It’s not just for guys anymore. Girls can be warriors, too.” Stimteema’s ears flick back toward me. “I know I can win.” I pat her neck. 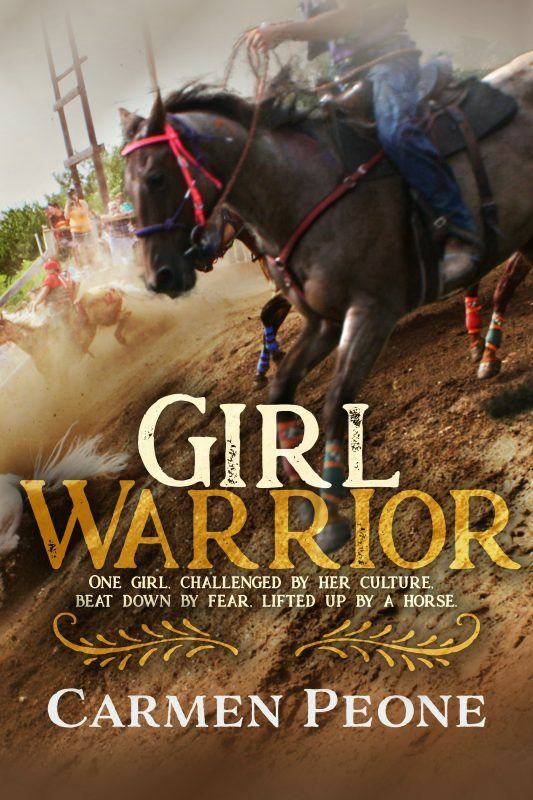 “All I need is the right horse.” Taken from Girl Warrior. A premier documentary by Ruth Eddy and Samuel Wilson entitled “Eagle Boy” played in the Omak Theater during Stampede weekend. It was about the Suicide Race from the perspective of Eagle Boy, Scotty Abrahamson, and trainer George Marchand. I’m hoping DVDs will be sold soon. So far those who have seen the film state it is worth watching. Great action pictures that visually convey the tension. Oh to be able to put that into words. Thank you, Judith. Putting it in words was truly exhilarating! What an exciting race that must have been! I’m so glad you could be there, Carmen. It was, Mary. I was happy I was able to sneak away from signing books on Sunday to catch the day race. Thank you!